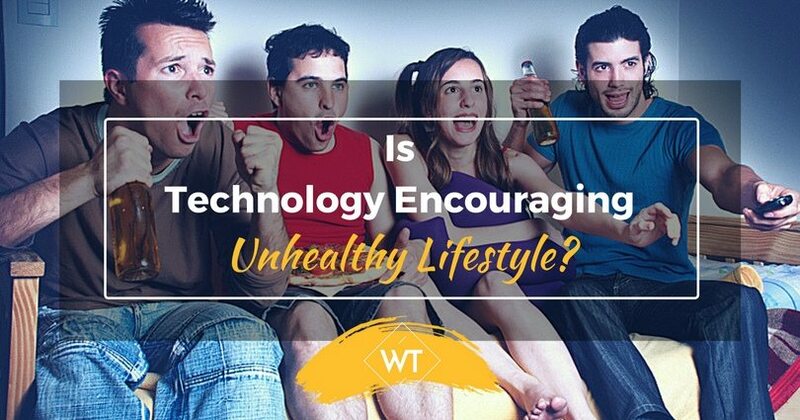 Is Technology Encouraging Unhealthy Lifestyle? Technology has made lives simple over generations starting from the invention of the wheel. In the days of freedom struggle in India (in 1940’s) a motor car was a luxury, which only the most privileged had access to. Later over the next few decades it became common among film stars, business men and other sections of society. Laziness, sedentary lifestyle, poor health, bad postures, poor eyesight and umpteen number of health issues are the result of overuse of technology. Today we have technology touching every individual directly or indirectly. Statistics reveal that more than 60% of India does not have access to basic sanitation, but people in this segment have access to mobiles or TVs. Technology has provided several advantages – it has made work easier for people, it has saved time, energy and also automated mundane or boring work, minimizing human intervention. Mixers, microwaves, washing machines, computers, etc. have all made life much better enabling us to focus on creative and intelligent work rather than getting exhausted doing routine chores. However, the flip side technology has also resulted in unhealthy lifestyle . Technology was meant to help society however in the long run it is hurting society. Children are growing up dependent on computers, cell phones, tv, and video games. Being surrounded by this much technology has led children to have a shorter attention span. Technology is so addicting that individuals are neglecting their families to spend more time with their blackberry’s and laptops. Students are lazier than every before, using the internet to do the hard work for them. How Technology Induces Unhealthy Lifestyle? I just want to present a few examples where technology (particularly electronics & information technology) has made people lazier or encouraged unhealthy lifestyle. This is not restricted to computers, but all technologies including video games, mobiles, TV, etc. 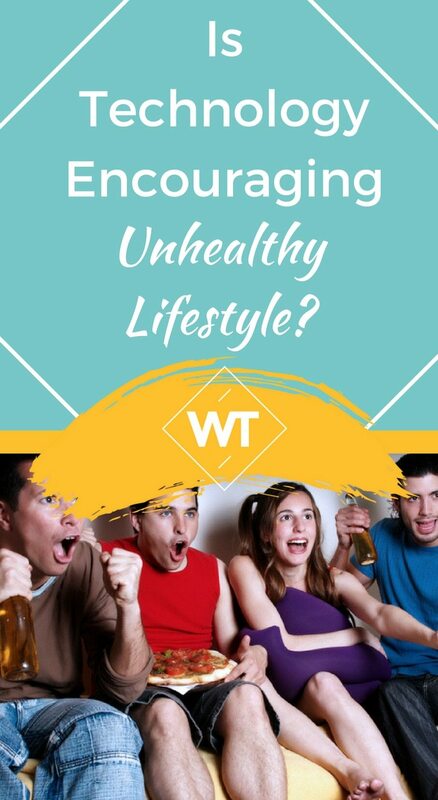 There a few typical unhealthy behavior patterns that people get accustomed to despite knowing that these are not good for their health and wellbeing. 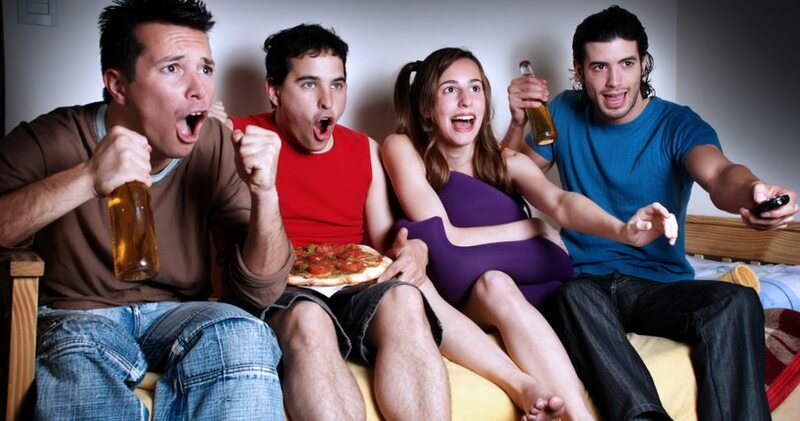 Couch potatoes are known for watching TV for atleast 3 hours daily, which is sheer waste of time as well as unhealthy particularly for the youth. If you watch 2 movies back to back on a one-off basis its fine, but doing this regularly is disastrous. I’ve also seen those who work, sleep, eat and relax on the same couch in front of TV all the time. Couch Potato – Impact: Poor eyesight, partial deafness, lack of sleep, headache, relationship issues, misunderstanding, suspicion or insecure feelings, etc. This trend started in 90’s when people started using video recorders or players (VCR, VCP) and video games. You could buy the game console and play on TV. However, today this has given way to computer games, joy stick, play station, etc. Though the gaming technologies are changing, the addiction to video games still remains among kids and young adults in particular. The major drawback is the idea of playing computer games instead of sports such as cricket, running, table tennis, etc. This does not give the kind of physical workout, team spirit and articulation skills that athletics or sports provide. Many kids also use PC games as an escape from studies or work given to them, and invariably this attitude also makes them irresponsible professionals later on as they find ways to escape than take responsibility for their actions. Video Game Jockeys – Impact: Poor eyesight, hypertension, giddiness, irresponsible behavior, lack of responsibility, no physical activity, lack of social skills, etc. These are people who stick to their laptops as if it were their better half. I like to call them ‘Laptop Lovers’ in a jovial way. Typically these guys have a laptop with them almost all the time, except in the bathroom or toilet or a few occasions. Believe it or not there are people who use a laptop on their bed too. Just like couch potatoes they have one bed, on which is like a favorite pad for sitting, working, eating, drinking, sleeping, etc. They are too lazy to sit up and work, and don’t want to work in one place, sleep in one place, etc….so they think they are smart……but buffaloes and pigs do that too. The biggest danger is people sleeping along-side their laptop on their bed or mattress. A recent news showed how a laptop alongside the bed resulted in a fire accident as the mattress, bed, etc. got burnt. I’d personally advise readers to stop this habit for your own good. A more vulnerable situation was an example where a person sleeps with his laptop on his chest or stomach. No wonder these people are risking themselves. This is more dangerous than the previous example as you are hurting your body directly. Laptop Lovers – Impact: Laziness, poor eye sight, back pain, neck pain, giddiness, accidents (fire, burns, etc. ), harm to body parts (close to the system), electric shocks, etc. These are the relatively newer breed of geeks, who seem to be glued to their smartphones all the time. There’s no doubt that losing a phone for them is as critical as losing a friend or a partner. They are a hybrid variety because they have a good mixture of the worst habits of couch potatoes, laptop lovers and gaming geeks all put together. A typical iphone maniac (or fan) crossing a busy highway would be more interested to check a message or status update or a new app, rather than watching vehicles before crossing. These people have the potential of meeting traumatic accidents, which can be avoided by being more responsible and cautious. The other most irritating behavior is the habit of giving a minute by minute update like a TV news reporter including trivial things such as ‘where they had coffee’, ‘how the place was crowded’, etc. They not only update via SMS but also through chat, FB updates as well as email. The habit of updating also ruins relationships. For instance if a person tries to check the whereabouts of his/her spouse it creates mistrust and a feeling of insecurity for no good reason. This issues is also becoming common among people who have entered in to relationships. The other common practice is to propose to someone or break-up with someone via text messages, which sadly devalues human relationships. Smart Phone Jacks – Impact: Over anxiety, boredom, eyesight, lack of personal touch, accidents, irritation to others, relationship issues, insecurity, suspicion, etc. Now that we know the effects of the above habits, the best way to a healthy and balanced lifestyle is to give up our unhealthy practices. Lets admit most of us including me have a tendency to be either a couch potato, video game jockey, laptop lover, smart jack or some type of maniac. If this behavior is limited to few occasions its not serious, however, repeated instances will ruin health, mental well-being and also impact relationships. Before you get too addicted to any of these habits you can always take a break, relax or engage in other productive activities. This way you will not be tied to your computer or device all the time. Instead you can see the beautiful sunrise, garden, wonderful people and develop a positive attitude. Ultimately technology is a tool to help us make life easier, which we need to use effectively. When you become a slave to technology the effects are definitely harmful. However, if one uses technology to improve productivity, enhance relationships and develops a healthy and active lifestyle, then you are on the right path to a healthy, wealthy and balanced lifestyle not unhealthy lifestyle. Sridhar is a financial analyst and his work experience spans areas of financial analysis, modeling, valuation and research on companies, specific sectors, etc. Sridhar is an MBA graduate with Finance major from Maharishi Institute of Management.